Developing countries will account for much of the world’s growth in agricultural production, demand, and trade during the next decade, as production growth in developed countries slows, according to reports from leading food policy organizations. The shift will pose challenges for the quality and abundance of water supplies in regions like South America, Asia, and Africa. The growth rate of world agricultural production is set to slow overall when compared to the growth rate of the past decade, but developing countries will continue to outpace developed countries, according to the 2013-2022 Agricultural Outlook released in June by the Organization for Economic Cooperation and Development (OECD) and the Food and Agriculture Organization of the United Nations (FAO). Average world food production will increase 1.5 percent annually, compared to the 2.1 percent annual growth seen from 2003-2012. The slowdown is a result of rising costs for agricultural inputs, such as oil and fertilizer, as well as the increasing scarcity of key resources like water and land. Climate change could also play a role by exposing crops to more severe droughts and floods and rising temperatures. Least Developed Countries – defined by the United Nations as “low-income countries suffering from the most severe structural impediments to sustainable development” – have the greatest potential for increasing food production in the next decade. These countries are expected to exceed the world average in agricultural growth, at a rate of about 2.75 percent through 2022, while the agricultural sectors of Brazil, Russia, India, and China will grow by 1.5 percent per year. In developed countries, on the other hand, farm output will increase just 0.75 percent annually over the next decade. Sources: Food and Agriculture Organization, Organization for Economic Cooperation and Development. 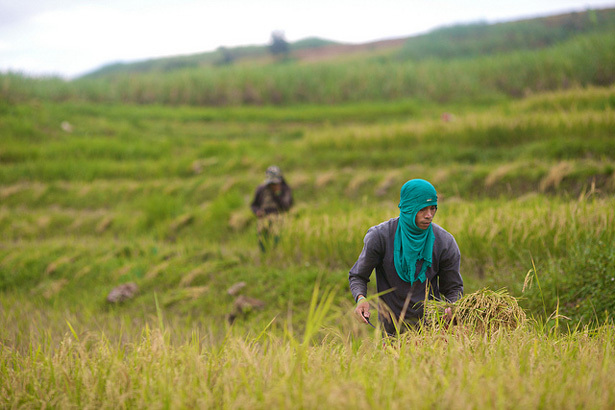 Photo Credit: Asian Development Project in Negros Occidental, Philippines, courtesy of the Asian Development Bank.